Have you or a loved one sustained a traumatic brain injury as a result of a negligent accident in Michigan? 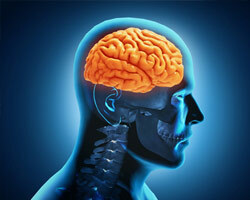 An estimated 1.4 million Americans suffer from brain injuries each year, oftentimes due to physical trauma to the head. Brain injuries can range from minor concussions to permanent brain damage that can ultimately result in death or permanent disability. If you or someone you love is suffering from brain damage, our personal injury attorney at Baldwin Legal Services PLLC may be able to help you recover damages from the responsible parties. It is important for a person who may be experiencing traumatic brain injury to seek treatment as soon as possible. Though the symptoms may not be obvious at first, the longer a person waits to seek treatment, the more difficult it may be to recover from the traumatic brain injury. Closed—A brain injury which involves the tearing and bruising of tissues and blood vessels but no broken bones in the skull. Individuals involved in car accidents and slip and falls often suffer this type of traumatic brain injury. Penetrating—Also called open brain injury, this type of injury is characterized by a break in the skull bone. Gunshot victims usually suffer penetrating brain injuries. Diffuse Axonal—This type of brain injury occurs when several areas of the brain suffer damage, such as tearing, to the nerve fibers. Comas are common with this type of traumatic brain injury. Primary—A brain injury that is considered non-progressive and complete at the time of impact. Secondary—A progressive brain injury that changes over time. When you or your loved one has suffered a head injury as a result of the negligence or carelessness of another person, including traumatic brain injury or brain damage, you want an experienced and aggressive lawyer to help get all the compensation you need and deserve to ensure that you’re short-term and long-term needs are met. Whether your brain injury was sustained in a motor vehicle accident or construction accident or as a result of a defective product or unsafe premises, you can bring a claim against the responsible party. While some of the effects of a head or brain injury can be immediately apparent, others are not. It may be months or years before the full effect of the injury is known. You want a skilled personal injury attorney who understands the nature of these types of injuries, who has successfully helped others in similar circumstances. The insurance company wants to settle your case as soon as possible – and for as little money as possible. Our TBI attorney has a Master of Laws (LL.M.) in Insurance Law and knows how to present your claim in the best way possible to ensure your rights are protected and that you get the maximum compensation available. If you or your loved one has suffered a head injury, delay in obtaining legal representation may be a costly mistake. Please call 877-886-1441 or contact us online to schedule a free consultation. We are available 24 hours a day and 7 days a week. Home and hospital visits are available upon request. We will work diligently to ensure that you recover the full measure of compensation to which you are entitled.